MaryAnn McCracken Mikell has called Beaufort, SC home for the last 10 years. Born and raised in the Washington DC area; after living on the Western Slope of Colorado for many years as a nursing administrator, she made her way back East, finding the vibrancy and ambiance of Beaufort to call home. She immediately dug her heels into our community as a Registered Nurse at Beaufort Memorial Hospital; quickly becoming ‘The Map Lady’ after reviving and publishing The Historic Map of Beaufort, Port Royal, and the Sea Islands. She is a 2013 graduate of Leadership Beaufort and continues as a steward for our community in an Ambassador role for the Beaufort Chamber of Commerce. As a Realtor in Northern Virginia, “back in the day”, and extensive knowledge in new home construction, and knowing the crooks and crannies of our Town, being a realtor in Beaufort, SC is a natural! 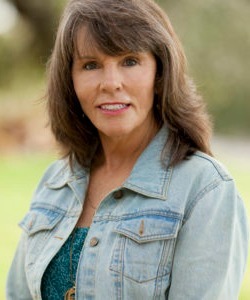 You’ll find MaryAnn at a new business ribbon cutting, on the golf course, in a yoga studio, riding a bike, or walking downtown pursuing a healthy lifestyle which she says, “is a breeze to achieve in Beaufort, SC”. With great intuitive listening skills and the ability to make it happen, satisfying your real estate goals is her niche.